Savour the pleasure of a sweet moment: dark chocolate, white chocolate and fragrant hazelnuts make for a perfect combination to enhance your dinner experience, a creamy pleasure that melts in your mouth. 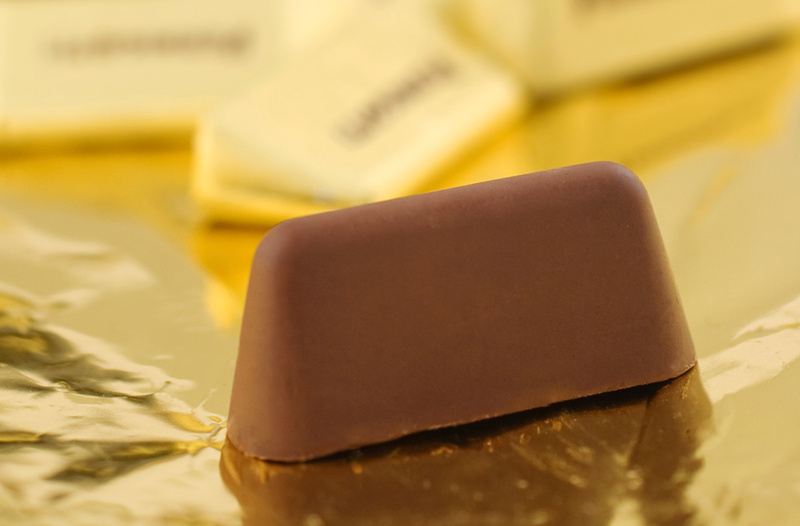 Dark and white chocolate truffles, as well as hazelnut-based giandujot, are the most typical sweet treats from Piemonte. They are produced by an artisanal laboratory in Torino, whose founder – Sergio Arzilli – has a story of success born from a glitch: being diagnosed gluten intolerant at age of 38, he realized that he could not continue to work as a pastry chef in the family patisserie and decided to start an exploration itinerary in the chocolate world, producing it without gluten and artificial components.